Tokay geckos are moderately large reptiles that are in the Gekkonidae, or gecko, family. They are originally native to Asia and the Pacific Islands, but also serve as pets worldwide. The pet trade has resulted in this species becoming an introduced to Florida, Belize, Martinique, and potentially Hawaii. In their home range, humans use these reptiles in the making of Traditional Chinese Medicine. 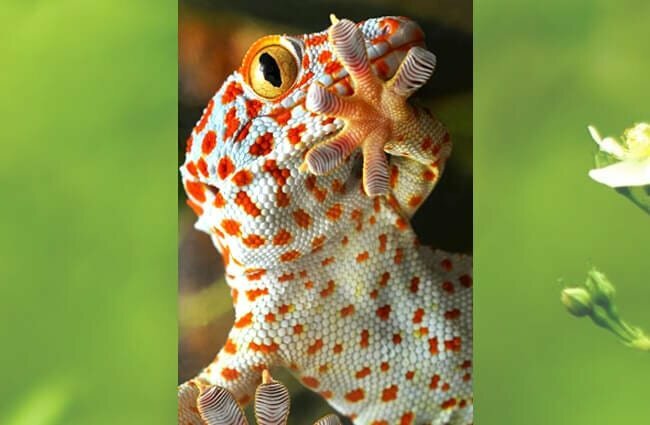 Read on to learn about the tokay gecko. Tokay geckos are popular pets because they have such a unique appearance. Their skin has bright red dappled spots, but they can change their color in response to their environment. Male geckos are more brightly colored than females, enough so that the species is sexually dimorphic. For geckos, they can be quite large, as they are capable of growing to over a foot long. Despite their popularity as pet, most people know little to nothing about these reptiles. Tokay geckos are interesting little creatures, with a number of unique traits. Breakaway – Like a number of lizards, tokay geckos have breakaway tails. 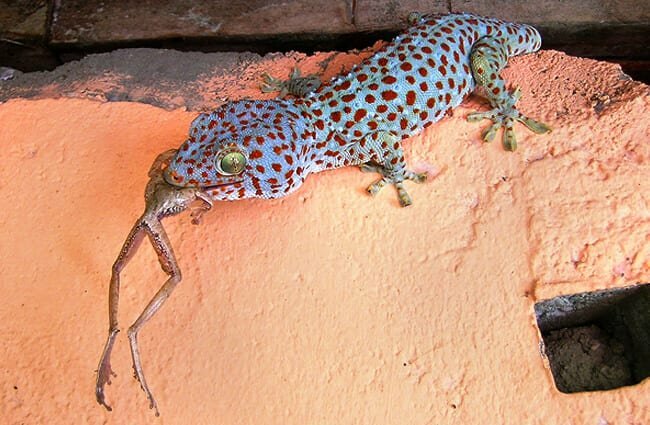 If a predator grabs one by the tail, the gecko can “drop” its tail and continue to flee. The tail also continues to move for a period of time after detaching. 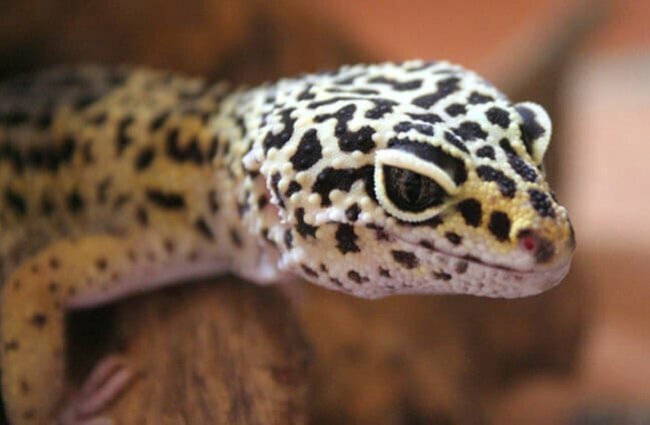 This keeps the predator distracted for longer, so the gecko has a better chance of escape. Fat Tail – Even though they can drop their tails, geckos avoid doing so if possible. Unlike lizards, many geckos (tokay included) store extra fat in their tails. This means that if one drops its tail it will lose all that extra fat storage. Chompers – Perhaps this is why tokay geckos are sometimes less prone to “flight” and more prone to “fight.” They have very strong jaws, which they use to crack open juicy insects. However, if something threatens one, it will deliver a painful bite to the potential predator. Finger Food – This propensity to chomp down on a threat is one of the reasons why most places do not recommended them for beginners. 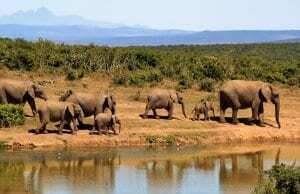 They can and will bite if threatened, which makes them a poor pet for younger children or those inexperienced with handling reptiles. 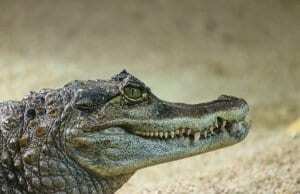 In their natural range, the preferred habitat of these reptiles is tropical rainforest. 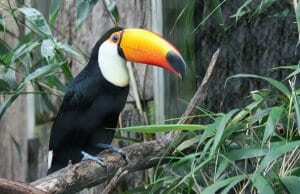 Within the rainforest they will live in trees or up on cliffs. 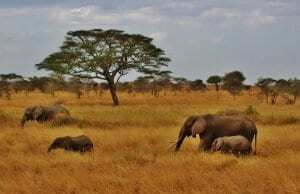 Because they do not live on the ground, they have an arboreal living style. It is also common to find these geckos in rural areas, living on walls and ceilings. 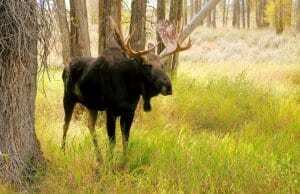 They have adapted to this living situation because they utilize human light sources in their search for food. In their wild range, tokay geckos flourish in northern India, New Guinea, Bhutan, Indonesia, Nepal, the Philippines, Bangladesh, and southeast Asia. 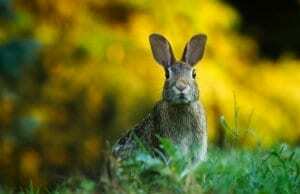 They also reside in various households across the world as exotic pets. Because of the exotic pet trade, these reptiles have accidentally (and purposefully) been introduced to areas outside of their natural range. 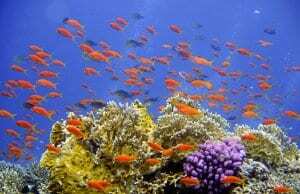 Invasive populations have established themselves in Florida, Belize, Martinique, and potentially in Hawaii as well. Tokay geckos use their strong jaws to crack the tough exoskeletons of rainforest insects. Large individuals can even consume small vertebrates, like mice or birds. 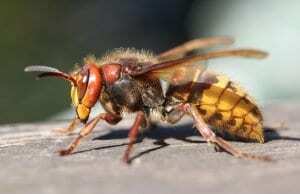 Some common prey includes beetles, ants, spiders, and other insects. In more urbanized areas they will use light sources to hunt for prey like moths and beetles that congregate around the light. While biologists have not officially evaluated them, in their natural range these reptiles are swiftly becoming threatened by human activity. Poaching is a serious problem for these geckos. Humans capture them for both Traditional Chinese Medicine and the pet trade. In Traditional Chinese Medicine, tokay gecko ingredients are supposedly beneficial to the kidney and lungs. However, as is the case with virtually all Traditional Chinese Medicine, there is no scientific evidence to support these claims. 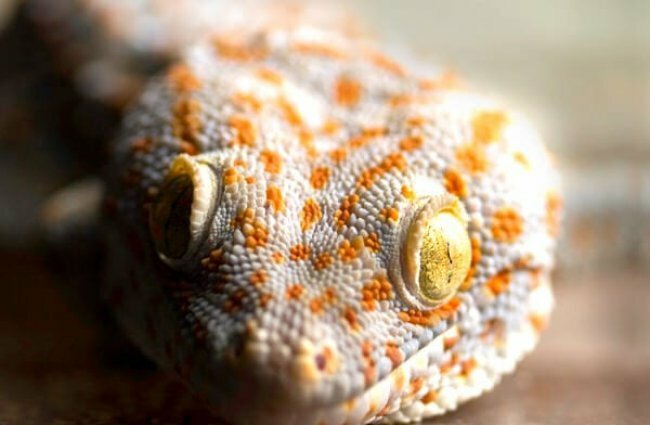 Humans have not domesticated tokay geckos in any way. Tokay geckos can make good pets for some people. However, they are not a good fit for everyone. Only an experienced reptile enthusiast should consider owning this reptile as a pet. They are not the friendliest of geckos, and can deliver a painful bite when threatened. Only someone experienced in handling and socializing reptiles should consider this gecko as a pet. As arboreal creatures, enclosures should be vertically spacious and full of climbing opportunities. A variety of vegetation is essential, as their native rainforest would provide plenty of hiding places. Humidity and temperature must be consistent as recommended by your breeder or veterinarian. These geckos can thrive on a diet of crickets, mealworms, waxworms, small mice, and more. 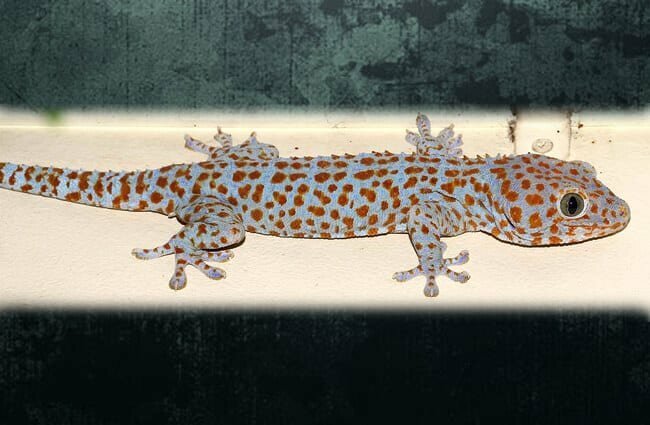 Please make sure you purchase your gecko from a reputable breeder, and do not buy an animal captured from the wild. These reptiles search for food under the cover of night. They are most active once the sun goes down, which makes them nocturnal creatures. Males are territorial, and will defend an area that overlaps with the territory of multiple females. 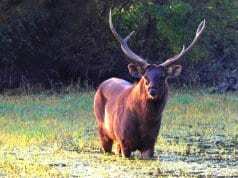 He will attack rival males and drive them away from his territory. He uses a loud croak to communicate with other geckos over territory boundaries and breeding rights. Females will mate with the male who has the best territory. After breeding, she lays either one or two eggs. The eggs have hard shells, which differ from the leathery-shelled eggs of other species. Females are very aggressive in protecting their nesting site, and will protect their eggs vigorously. 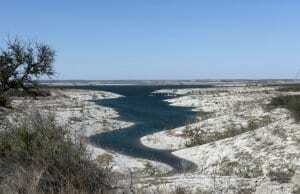 The temperature dictates the length of incubation, which can range from two to six months. Young geckos are independent and self sufficient at hatching. 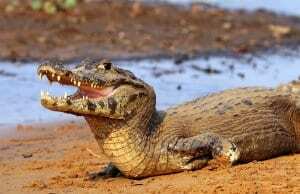 In their native range, many people consider these reptiles culturally significant. 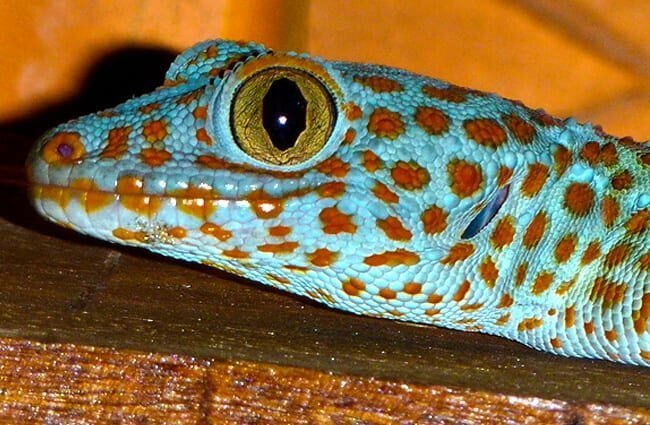 In a number of East Asian countries people consider tokay geckos symbols of good luck. Some people even believe the reptiles have supernatural powers! Many legends say these geckos are direct descendants of dragons. Humans, snakes, birds of prey, etc.